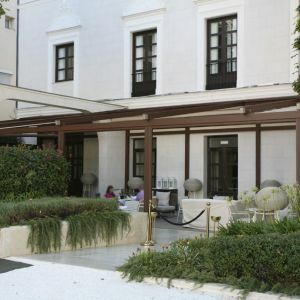 Hotel Gran Meliá Palacio de los Duques, with an avant-guard touch and Isabelline façade, is found at the centre of Madrid, specifically on city street Cuesta de Santo Domingo 5 and 7. 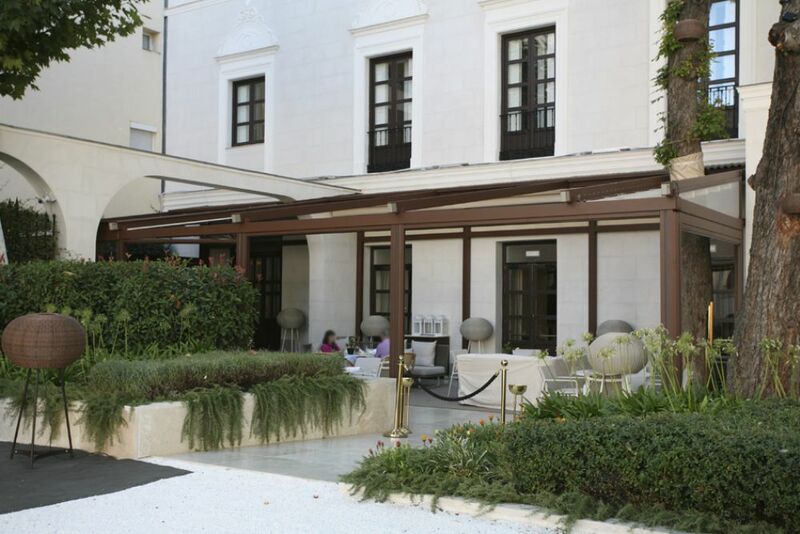 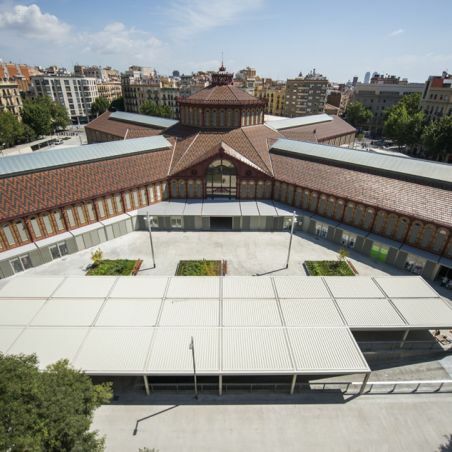 One of its charms is the historic 1000 m² garden, in which our project has taken shape. 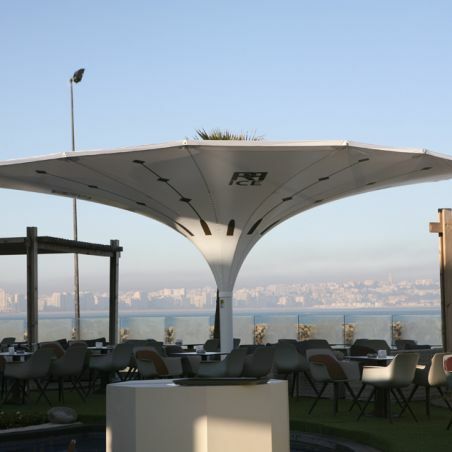 The project aims to make the most of the terrace of the Dos Cielos Restaurant located in the hotel, by covering it with three pergolas of the Nian model and two Azores parasols. 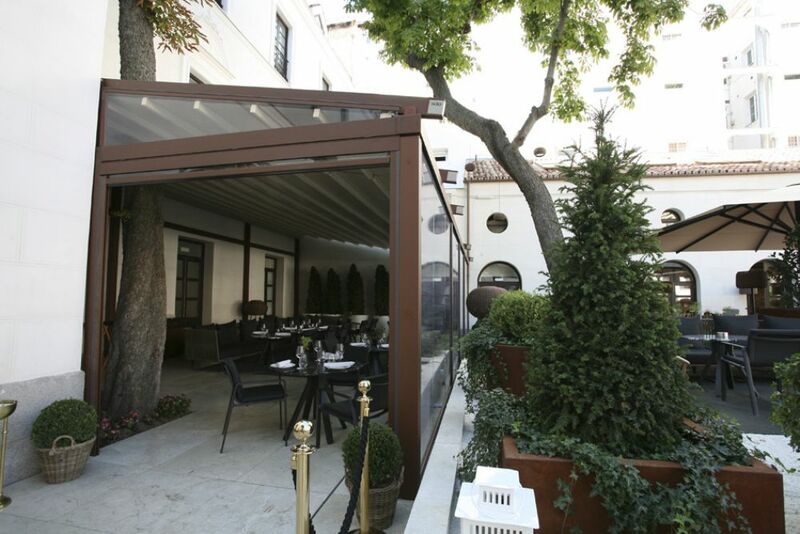 Within the pergola, century-old trees have been saved at the customer’s request, located at the ends of the pergola. 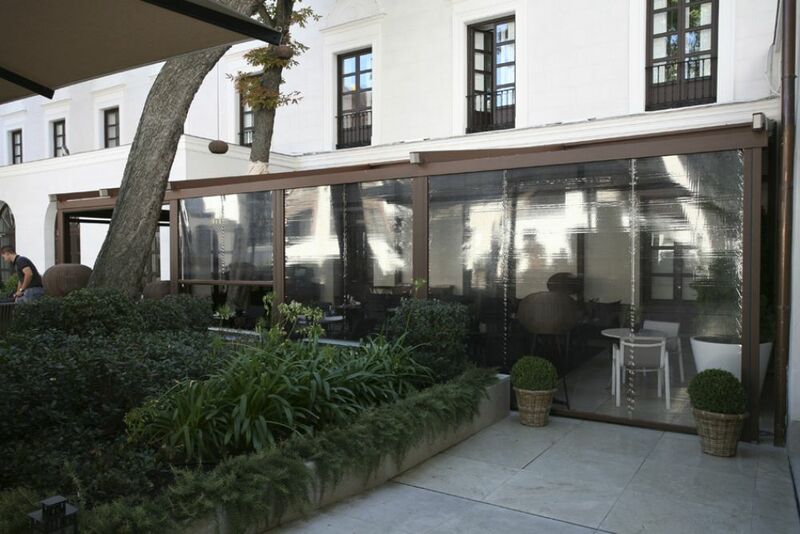 Taking the dimensions of the hotel terrace into account, we decided to insert three Nian model pergolas with two fixed tarpaulins embracing the two trees, and an enclosure around the perimeter with Clausa motorised curtains in transparent PVC. 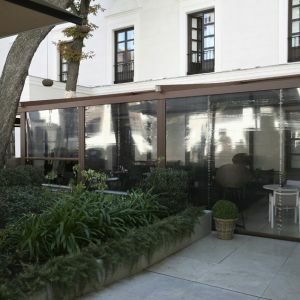 To merge perfectly into the surroundings, the structure has been lacquered with Weathering steel. 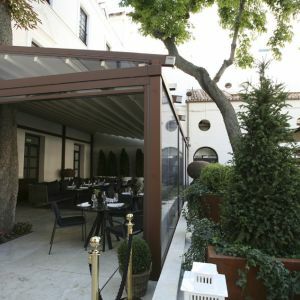 This is to achieve a design in harmony with the patio fountain and the cream coloured Buram tarpaulin, which are the same shade as the appearance of this historic building. 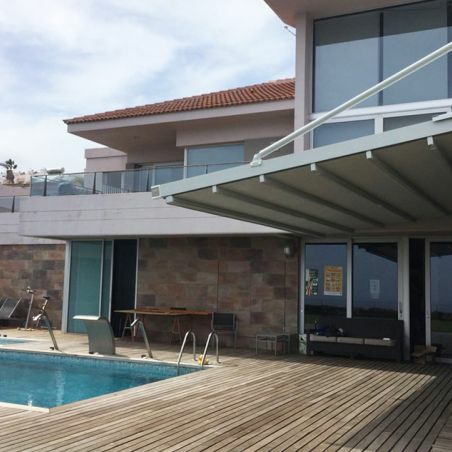 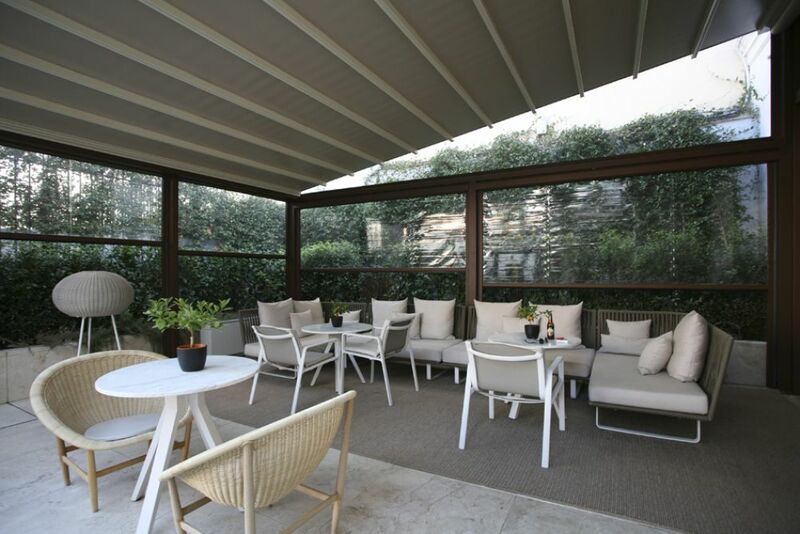 The pergola can cover up to 120 m² and can withstand even 8-force winds on the Beaufort scale, thanks to the resistant aluminium profile of its structure. 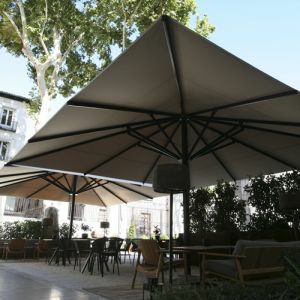 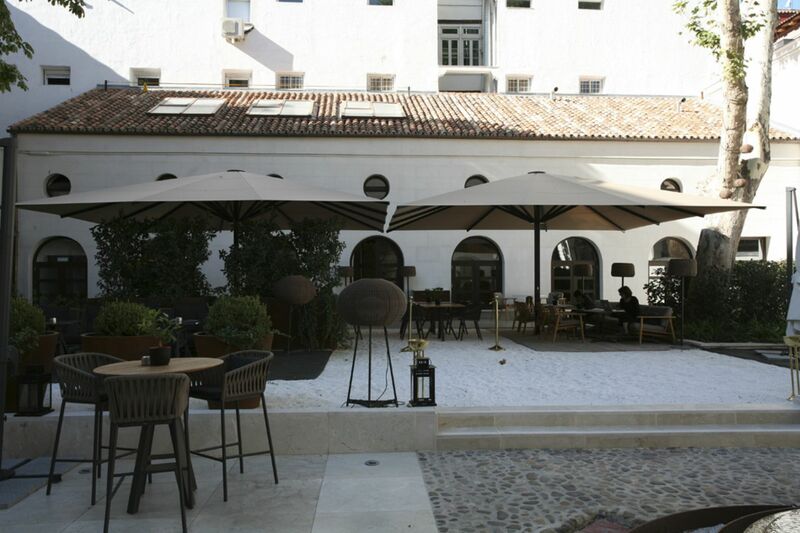 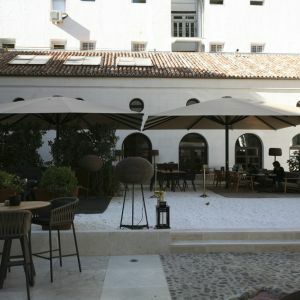 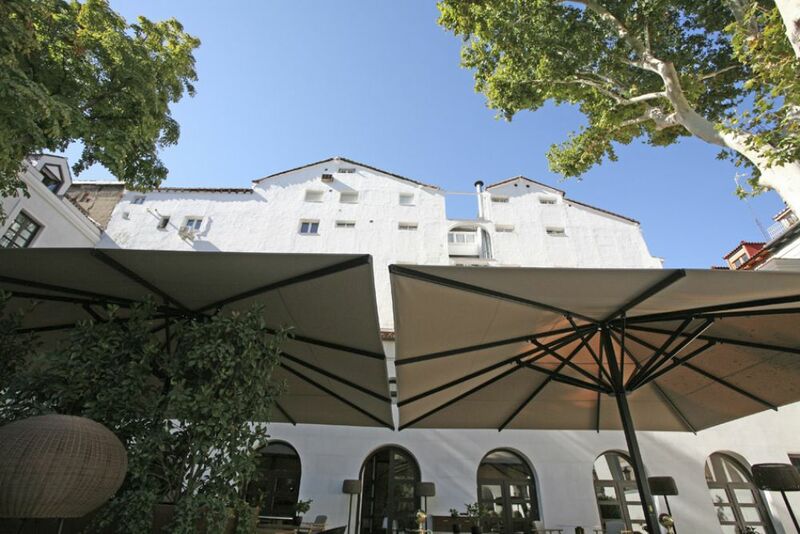 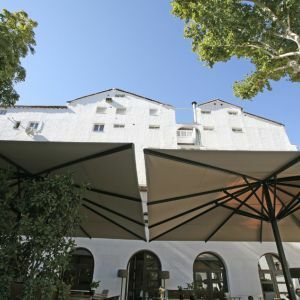 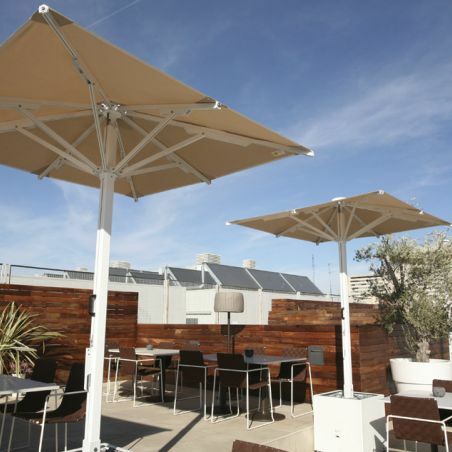 Two Azores parasols have also been installed on this terrace, covering up to 36 m² each. 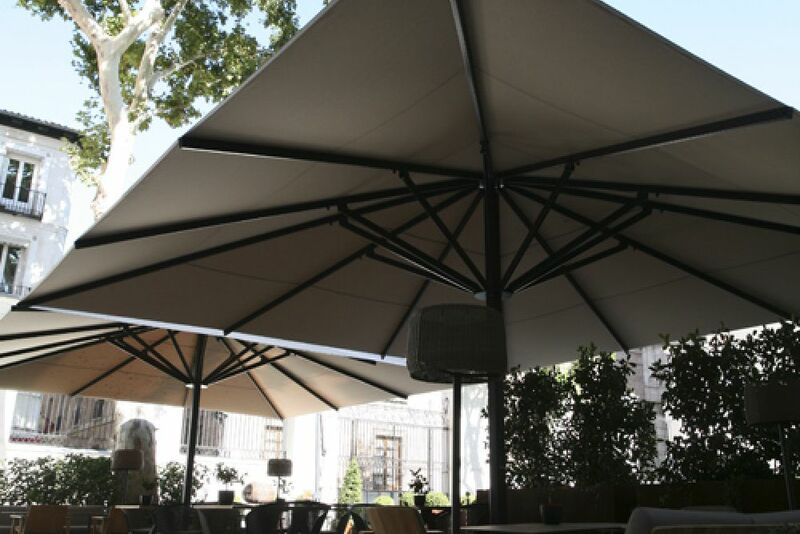 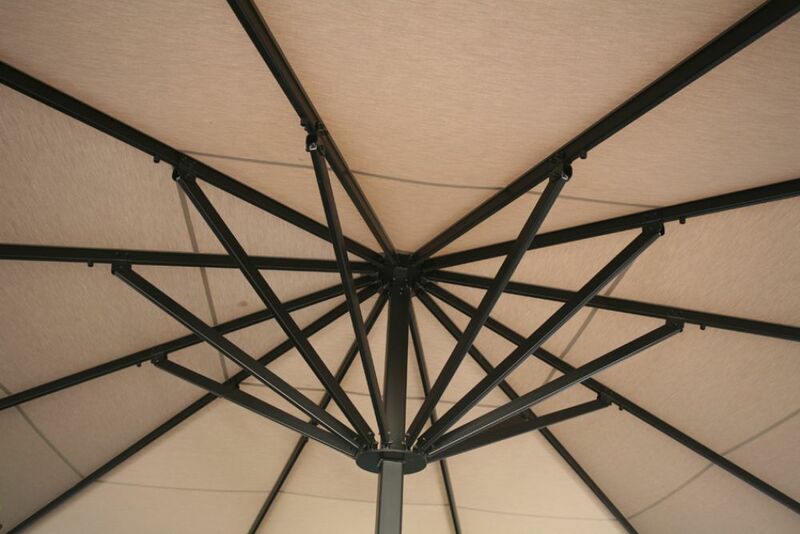 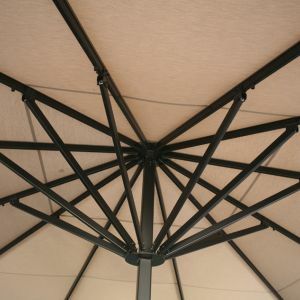 Both the aluminium bars and the telescopic post come with inner reinforcement, making the parasols resistant to winds of up to 80 km/h. 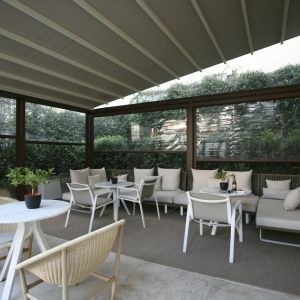 Characterised by their robustness and style, this is an excellent choice for large spaces, as it provides a considerable area of shade.